Founded in 1703, Mirebalais is a small commune situated in the Plateau Central, approximately 60 km Northeast of Port-au-Prince, the capital of Haiti. Birth place of the Haitian combatant Benoit Batraville, it is a 88.899 inhabitants, vivid locality where agriculture and livestock are predominant despite the many difficulties of commerce and daily life. Fortunately, the Peligre’s hydroelectric dam, opened 59 years ago in the Centre department, provides energy to the whole city. I first visited the town five years ago, immediately after the 2010 earthquake, with a team of medical students who volunteered at the hospital Bon Sauveur of Cange (village located near Mirebalais) run by the international NGO Partners in Health and local sister organization Zanmi Lasante. 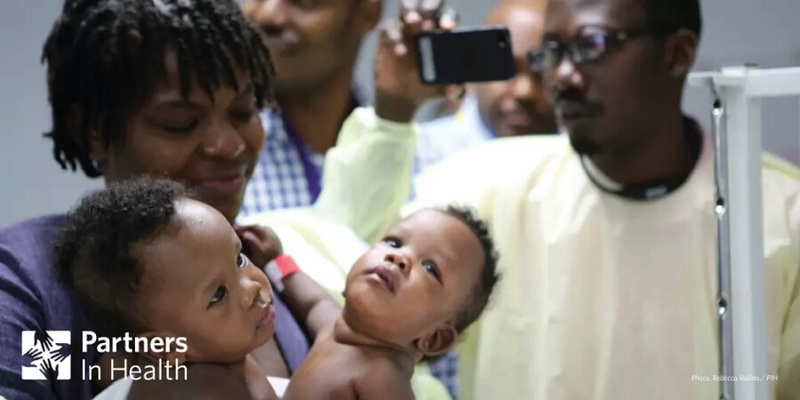 In this 330 square kilometers town, five years later, a surgical team led by Dr Henri Ford, Haiti-born renowned surgeon, successfully separated six-month-old abdominal conjoined twin sisters. Being the first of its kind in the country, the successful operation marked a turning point in the history of Haitian medicine. This prowess, which took place at the recently erected University Hospital of Mirebalais, has drawn many insights on Haiti and the future of medical cooperation among which: the benefits of global health and surgery for the resource-limited country, the need for a paradigm shift in international medical cooperation and the opportunity to share an accurate image of Haiti. Marian’s surgical team wore red bandanas, while Michelle’s wore yellow ones as they worked in an HUM operating room on Friday, May 22. Let’s consider first, the benefits of global heath and surgery for Haiti. Defined as the area of study that places a priority on improving health and achieving equity in health for all people worldwide, global health stands as a common ground, where international and local health professionals perform together in order to overcome enormous challenges usually unconquerable by a sole performer. As noted, surgery can help reduce the burden of disease by 11-15% globally, but unfortunately, the poorest people have little access to surgical care for malformations and pregnancy-related conditions like it was the case for Ketan, mother of the conjoined twins Marian and Michelle Bernard. In a context of economic insecurity and shortage of medical professionals, global health and global surgery, in Haiti, can be considered as one of the most accurate vehicule to strengthen the health care system by providing affordable access to care and sharing of knowledge and experience in the respective fields. 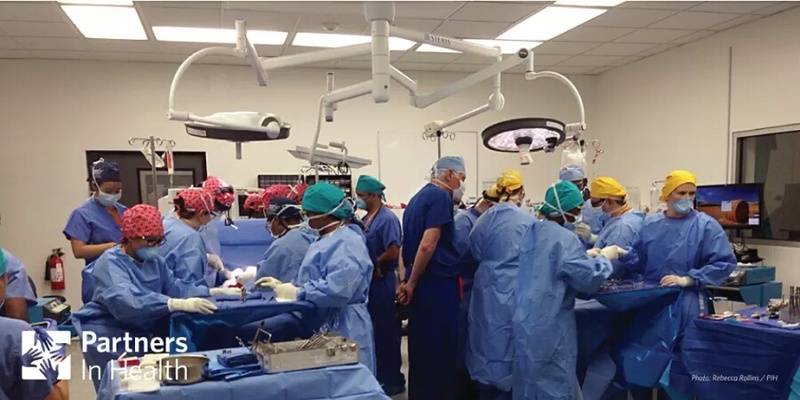 The separation of the conjoined twins at the University Hospital of Mirebalais is a typical experience of the opportunities provided by surgery used in a context of global health. These open doors consequently foster the need to look at the future through different lenses. They emphasize the vision that the new way of considering international medical cooperation should privilege sustainable partnership over mere assistance. This paradigm shift, in the case of Haiti, may come very gradually. Hence, the need of courageous visionary people here and abroad to challenge the status quo and be the change they want to see. The surgical prowess of Mirebalais is undoubtedly a milestone in the future of medicine in Haiti. It offers a fresh look on what is possible here where weaknesses are overly pictured. In the path of Dr Anténor Miot who introduced orthopedic surgery in Haiti, the vision and work of pioneers will definitely have an astonishing impact in the future. Not only will it lead to better care for the Haitian people but it will also propel a more accurate image of the country which is striving to build a resilient health care system. In fact, as of the early years following the earthquake, Haitians recognized the need to share a new and appealing image of Haiti in the global scene. It comes in reaction to negative news, often spread by international medias through shocking headlines and repulsive photographs, emphasizing the state of poverty of the western part of the Hispaniola island. In the context of the separation of the siamese sisters, Haiti has retained a new kind of attention. There was extensive media coverage both prior and after the surgery by the Haitian newspaper Le Nouvelliste and international medias. The Huffington Post and CBS News among others have instantly released the positive news of the successful seven-hour surgery. As Dr Jon Lapook, CBS News chief medical correspondent, present at the event, stated “This is a country that’s trying to rebuild the health care system”. In fact, since positive changes are happening home, positive feedback will surely counteract destructive attempt. Ultimately, leadership can be defined as the ability to inspire people to dream more, to accomplish more and to be more. It is a matter of influence through innovative ways to look at the world. No matter the field of action, no initiative will be sustainable without the necesssary amount of cooperation and knowledge sharing between people of different academic and cultural background. Therefore, the majestic surgery of Marian and Michelle Bernard at the University Hospital of Mirebalais has cast a bright light on Haiti’s future particularely in medicine despite the remaining challenges. It also outlined the power of taking impactful initiatives inside to bring a positive image outside of Haiti. In 2010, as I assisted my first surgery at Cange, I couldn’t imagine that such an astonishing event would take place at Mirebalais, little town where we used to stay not more than a few hours, the time to jump in a bus to Port-au-Prince. Next time you come across the astounding country of Haiti, make sure you pay a visit to the Hospital of Mirebalais which stands today as a cornerstone where history was written. → Drug resistance: What can we do?